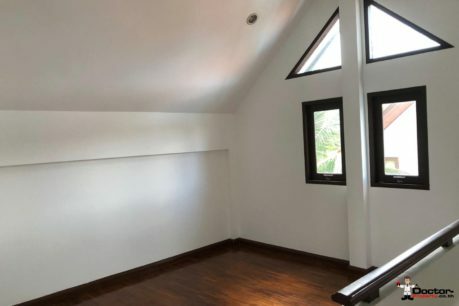 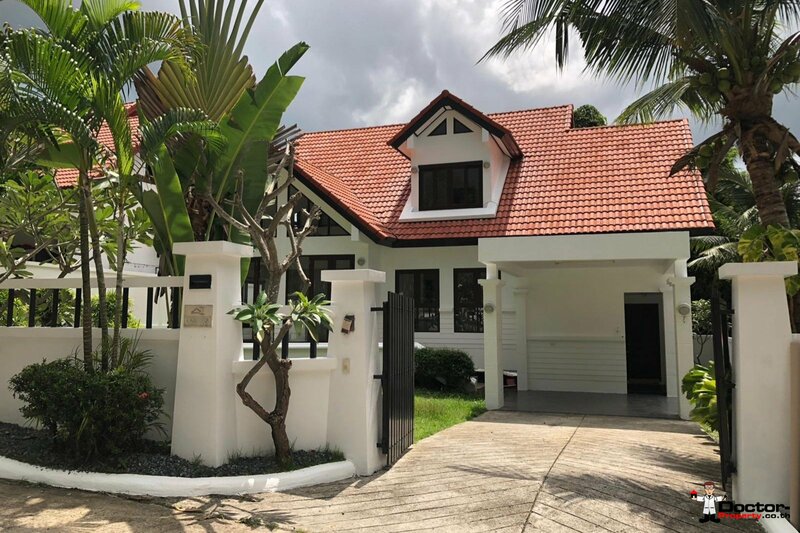 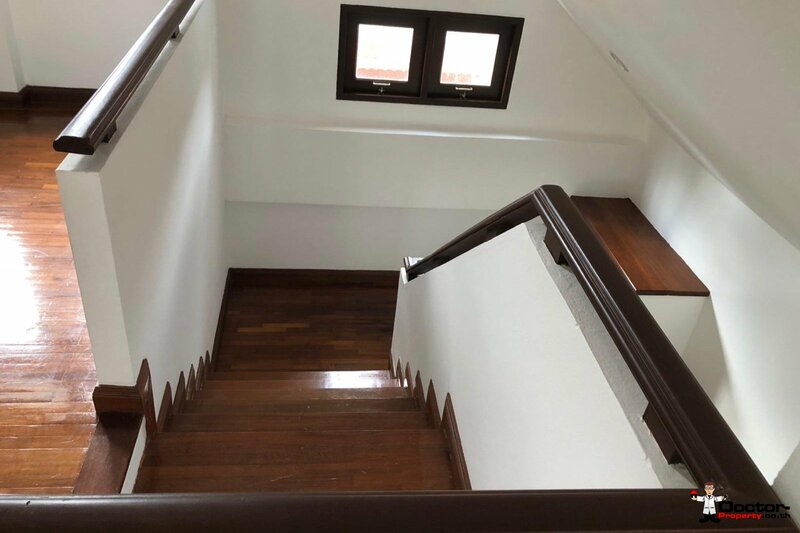 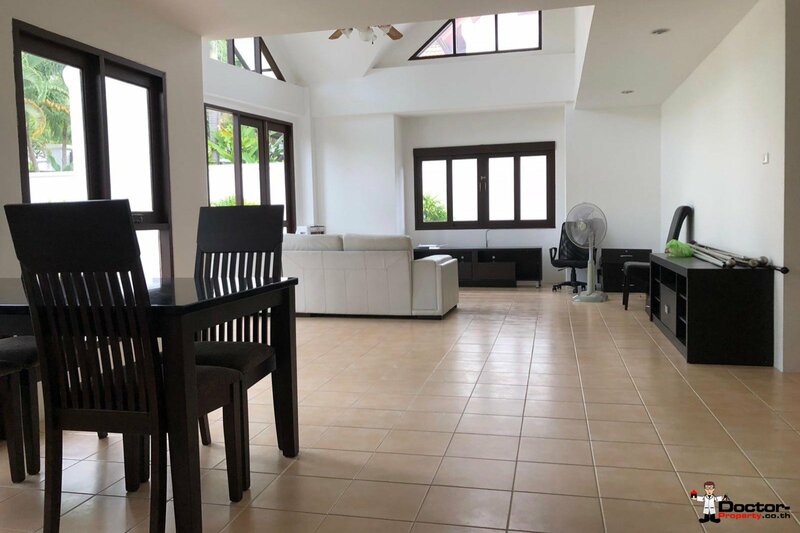 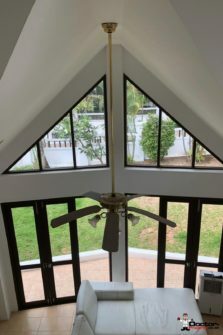 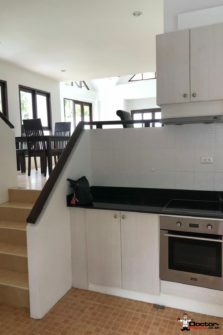 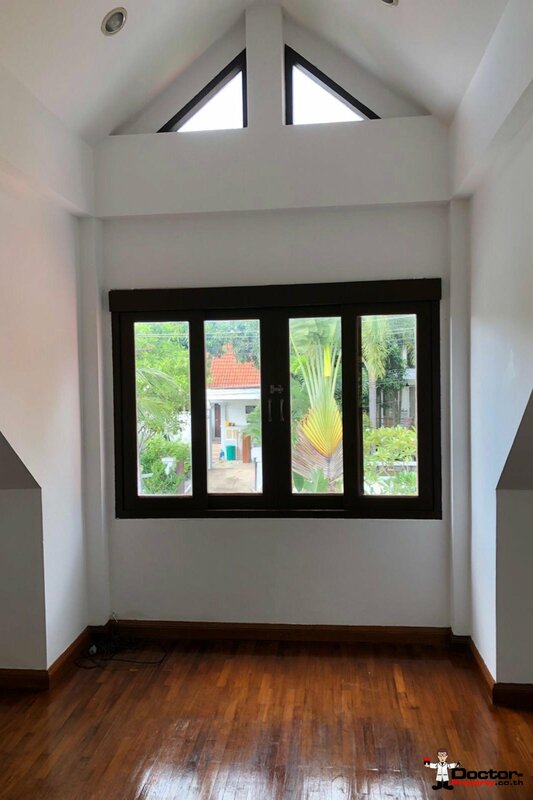 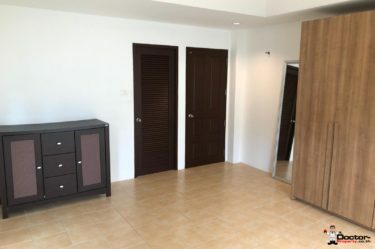 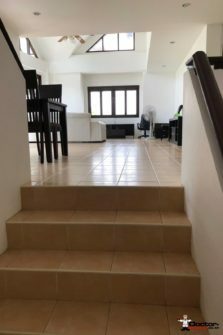 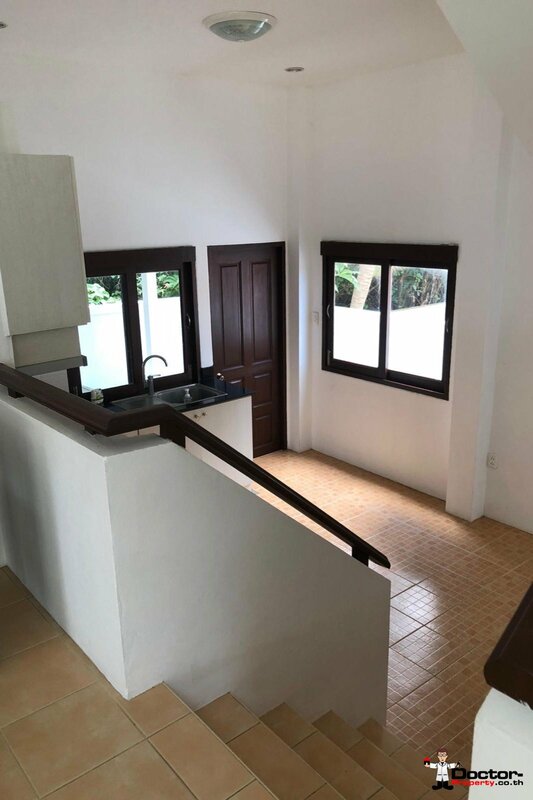 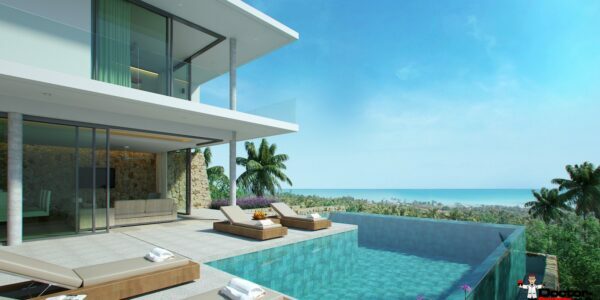 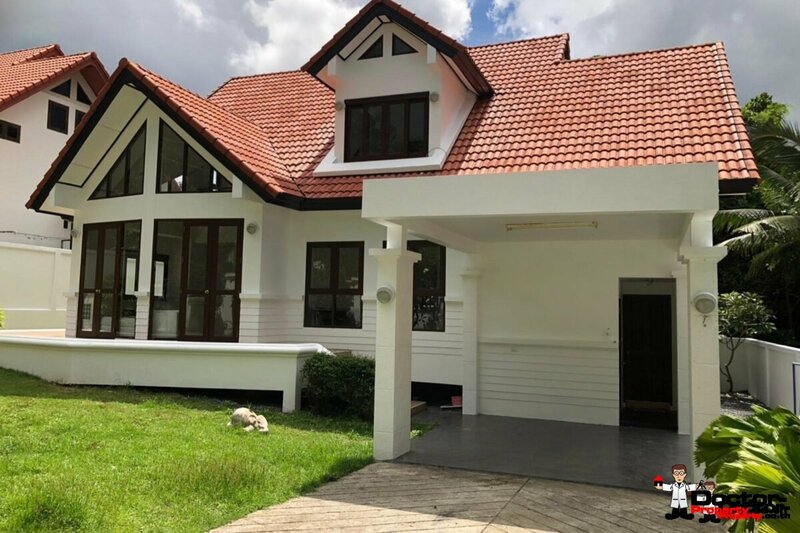 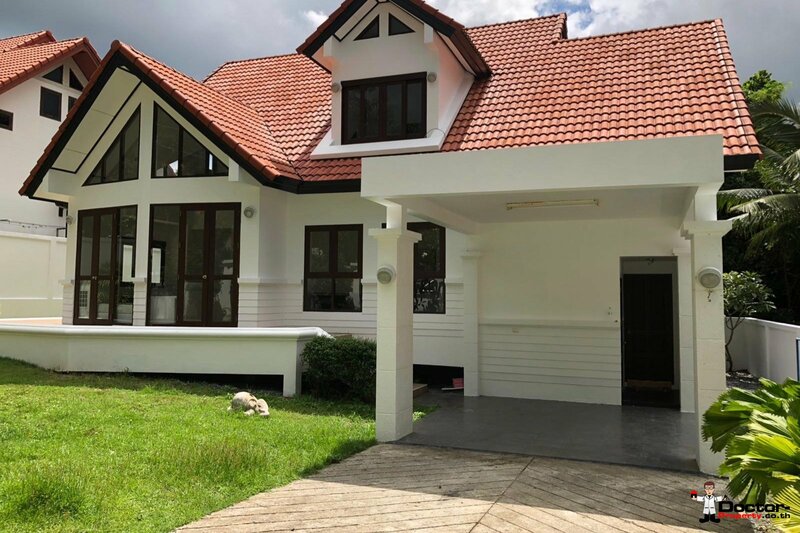 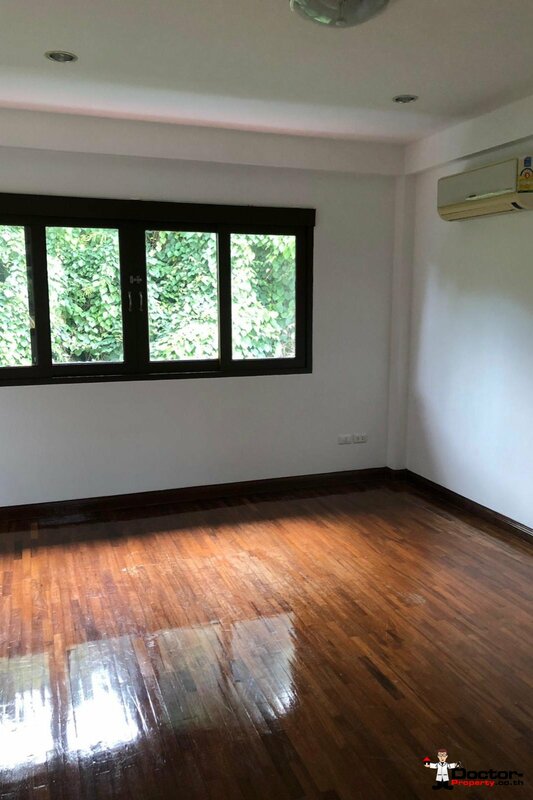 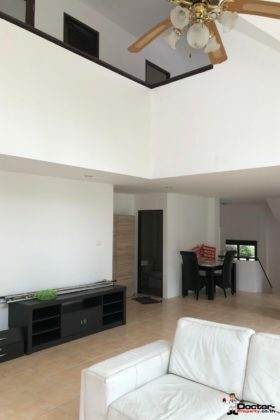 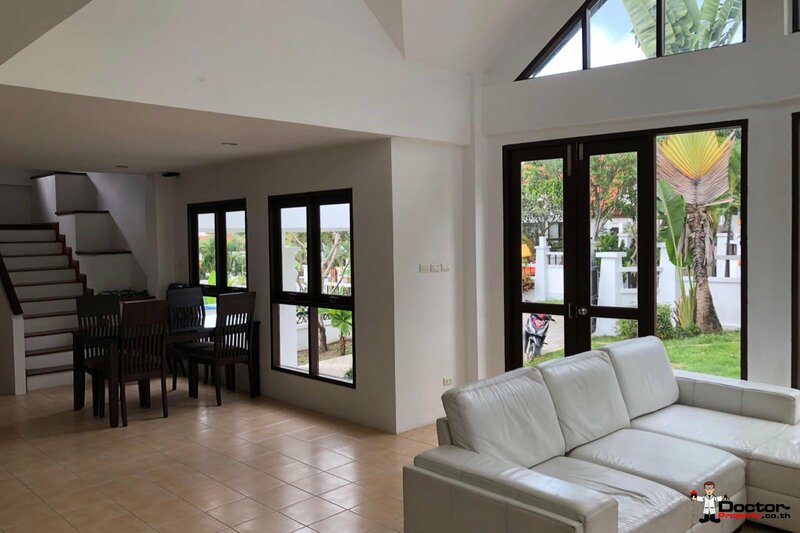 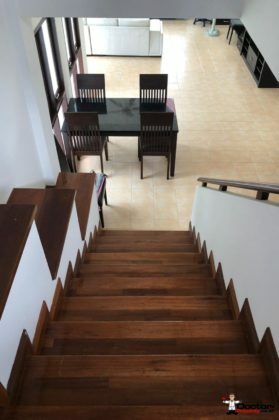 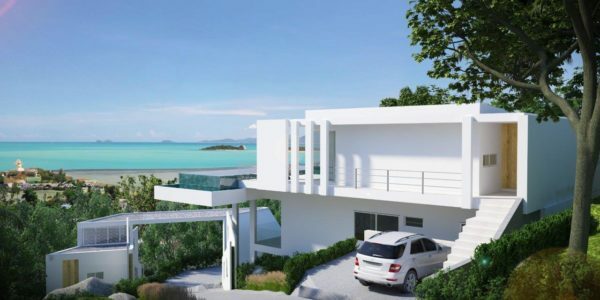 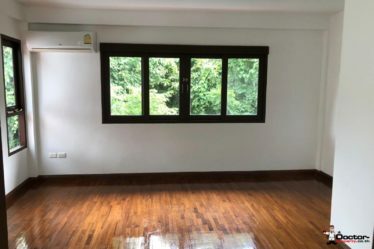 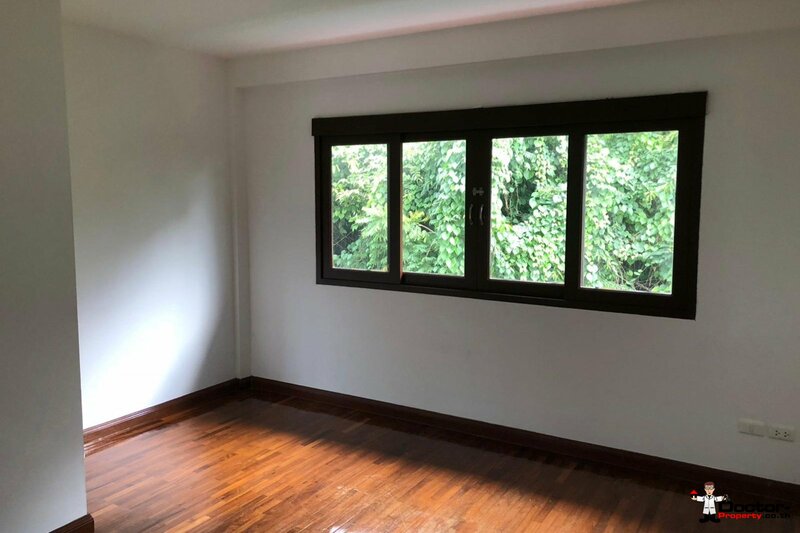 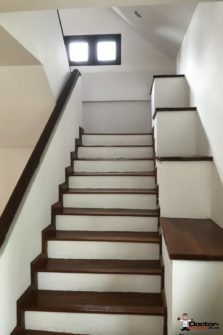 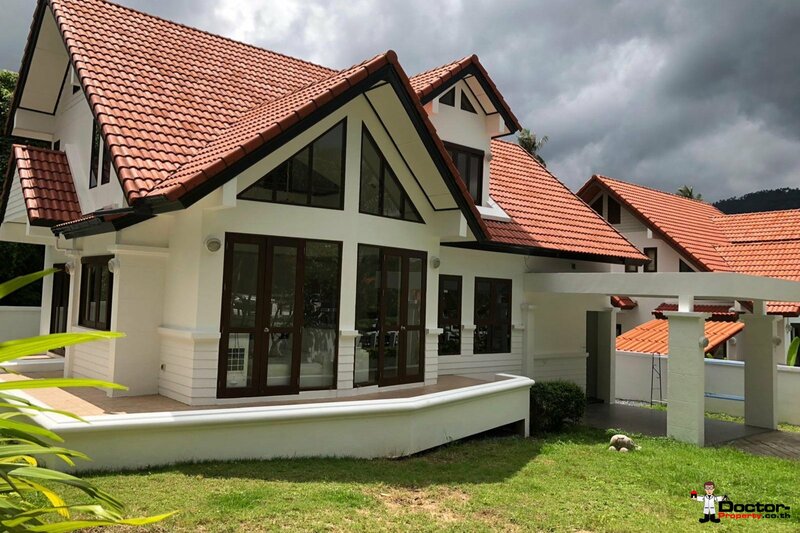 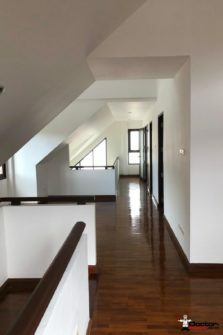 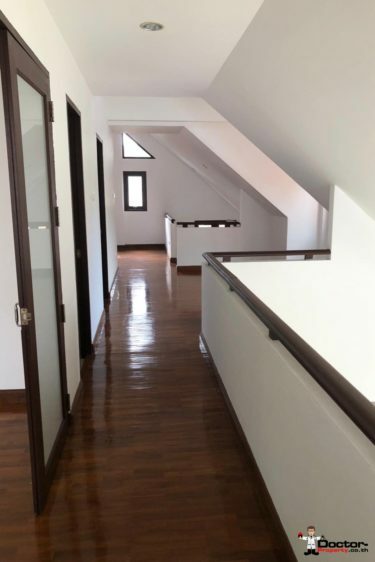 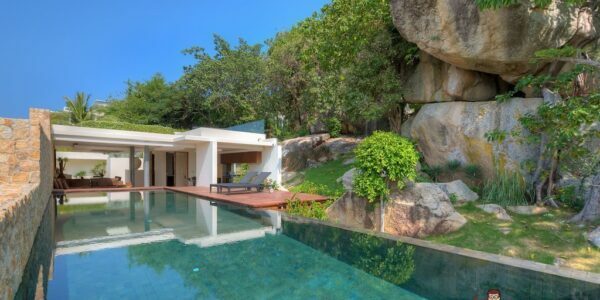 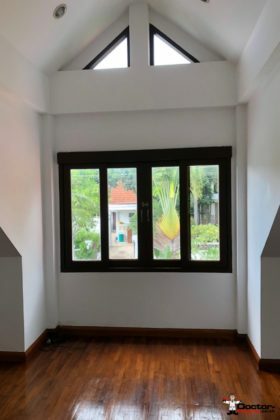 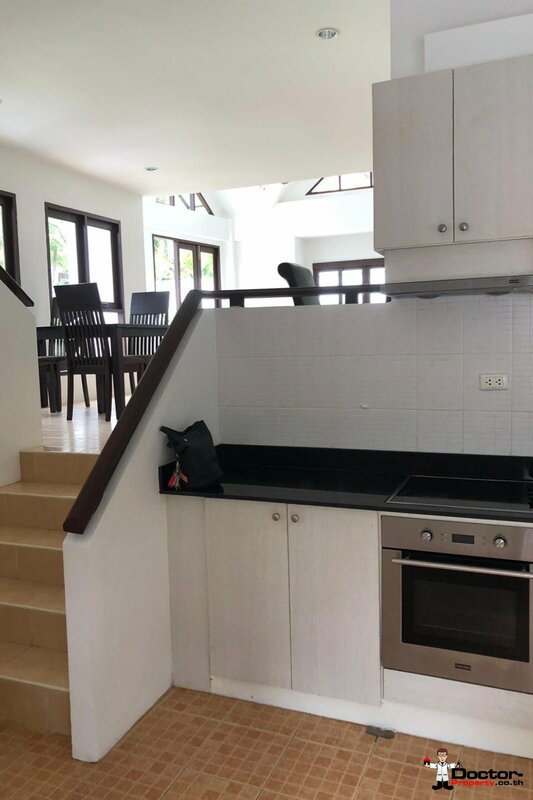 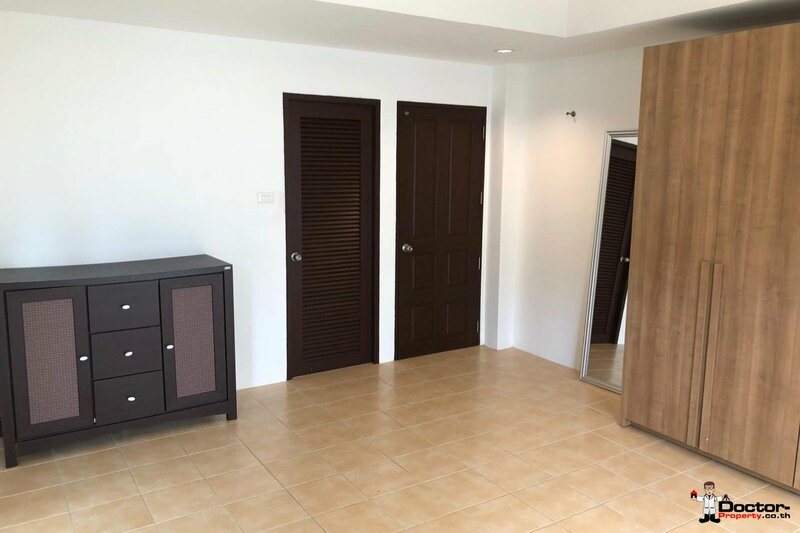 This lat­est offer­ing from Doc­tor Prop­er­ty is a mod­ern Thai style home con­ve­nient­ly locat­ed in a qui­et neigh­bour­hood just off the main ring road in the Chaweng, Bo Phut area in Koh Samui. 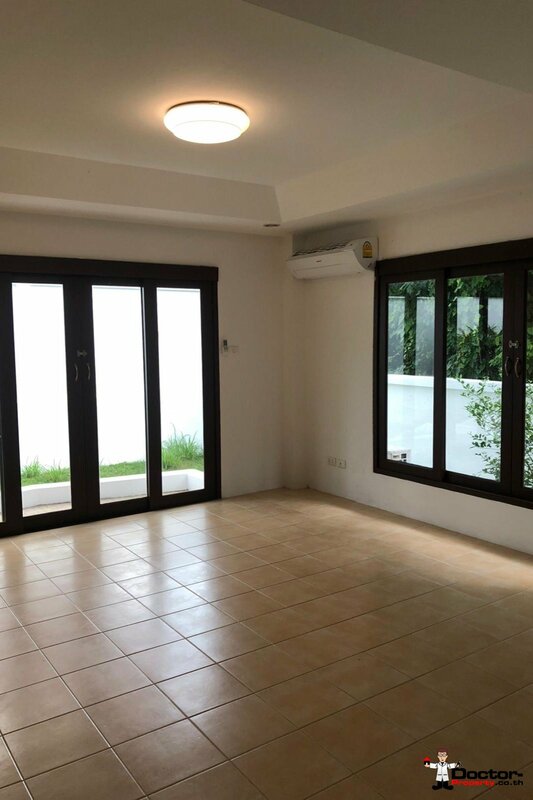 3 bed­rooms are offered in this house which is designed for liv­ing in, with its open plan lay­out and high ceil­ings. Wood­en floor­ing and touch­es fea­ture through­out the house. 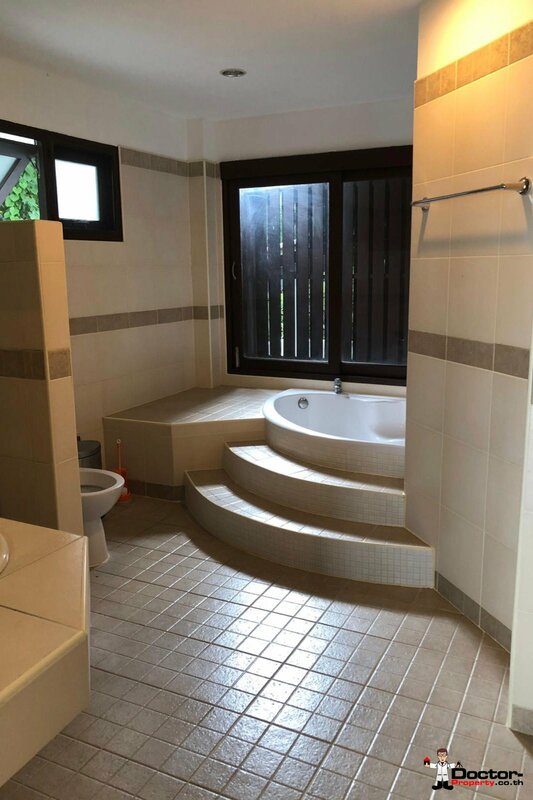 There is a bath­tub in the main bath­room. 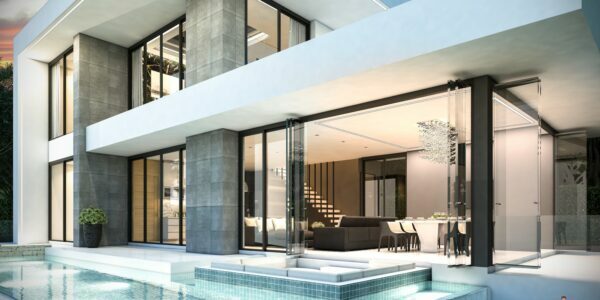 Out­side there is an enclosed gar­den with a gat­ed entrance and cov­ered park­ing for your vehi­cle. In the imme­di­ate area you’ll find a num­ber of sim­i­lar hous­es amongst oth­er prop­er­ties home to expats and longer term res­i­dents alike. This is a qui­et area with no through traf­fic, so pri­va­cy is a guar­an­tee. 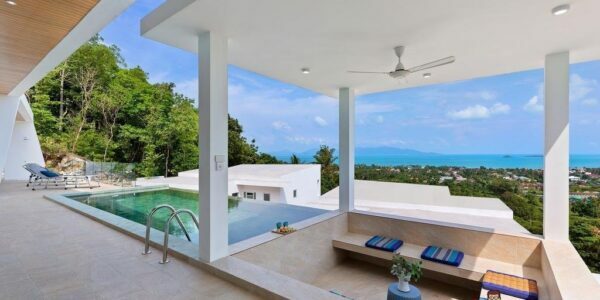 There is also a fit­ness cen­tre fur­ther up the hill. 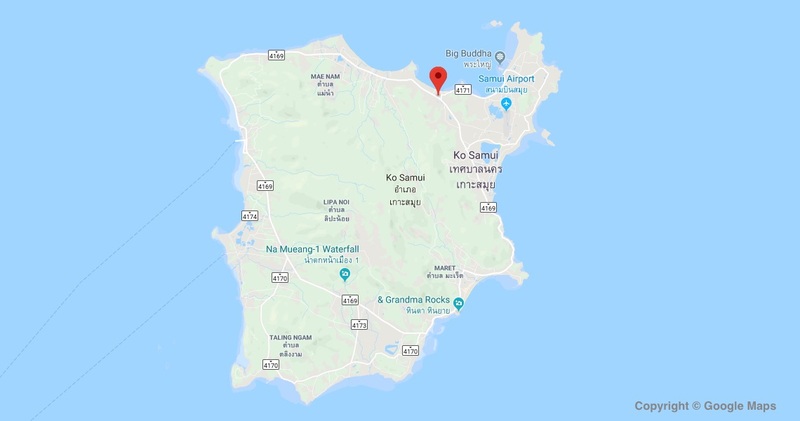 A cou­ple of min­utes dri­ve will take you to the Big C, Tesco, Fish­er­mans Vil­lage and The Ban­don Inter­na­tion­al Hos­pi­tal. 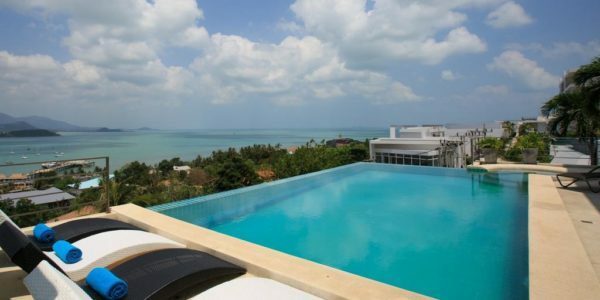 Down­town Chaweng and the Air­port are a few min­utes more.